Of all the challenges Penn State football faces in 2018, there might not be one more basic and yet more important, than a very simple objective. Getting everyone back on the same page. Last preseason things were about as easy as they come. There wasn't anything Saquon Barkley hadn't run against, no offensive look that Jason Cabinda hadn't defended before. It was a group of guys who had seen it all and in turn that made everything easier. 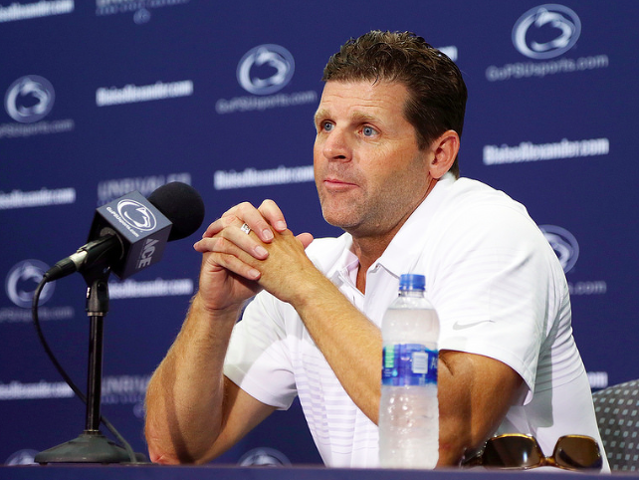 Even as James Franklin forcibly made the team install the offense and defense all over again from square one during camp, it was a straightforward task. But now most all of those players are gone, and with it the knowledge and understanding of both offensive and defensive schemes. It's less of an issue for Penn State's offense that mostly replaces a few receivers and a tight end. As coaches often say, the farther from the ball you are, the quicker you can play. So when it comes to Trace McSorley's side of things, this group out to pick up somewhere approximating where it left off. Defensively though, nearly the entire unit is made up of new faces or ones stepping into a larger role. They might be familiar with everything going on, but it's one thing to watch from the sideline, another to asked to do it on the field at a high-level. So does it change how things are done in camp? For the most part not really, except for one key part of the defense. "We've got a lot of youth and inexperience and I don't really see our installation change a whole lot," Franklin said. "Actually I would say the opposite, I think on normal downs I think we blitzed overall something like 56-percent (of the time) and typically in camp the way we install is base and then line stunts and then one-man pressures. (Defensive coordinator Brent Pry) Brent's point was that we needed to get blitzes in a little bit earlier because it's just too big of a part of what we do. So we sit down and kind of map our installation schedule and there is give and take." In 2017 Penn State's defensive managed 42 sacks by the season's end, four off the national lead and the third straight season as a Top 15 team when it came to getting to the quarterback. The Nittany Lions were 23rd in the nation in tackles for a loss, the fourth straight year in the Top 25 when it comes to getting into the backfield. Of course, even the best laid training camp plans of players and coaches often go awry. "I've never had a preseason camp where we stay on schedule with the install," Pry joked during his Big Ten Network interview this past weekend. "We map it out but we know that thing has flexibility. We had a day last week, a defensive staff day where we said "Do we forge ahead" or do we take on step back. It's in our nature, we forged ahead that but I don't know if we will the next time." 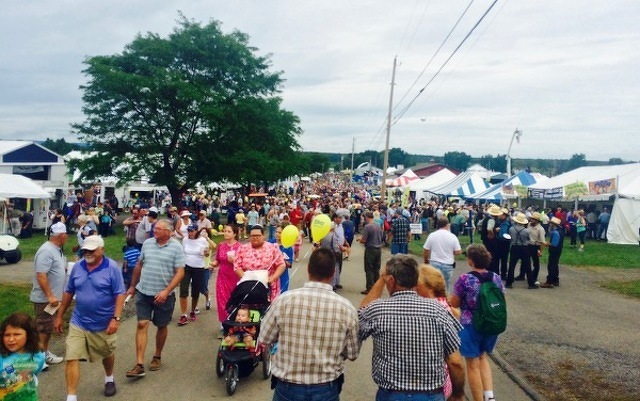 Penn State's Ag Progress Days will be held Tuesday through Thursday in Pennsylvania Furnace, and Ferguson Township Police are reminding residents and drivers of heavy traffic and traffic pattern changes during the event.